The RS-TDD series dehumidifying dryer combine a dehumidifying and drying system in a single unit. 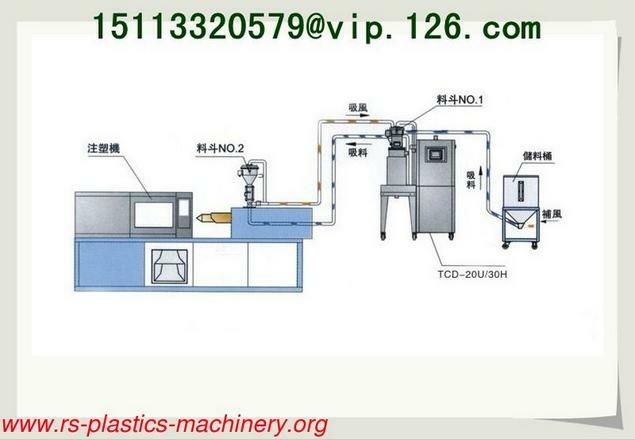 They have many applications in processing plastic materials such as PA, PC, PBT etc. We offer two types of honeycomb rotors: H4 and H5 models that, under ideal conditions, can supply dehumidified dry air with a dew-point down to-40 and -50 respectively. 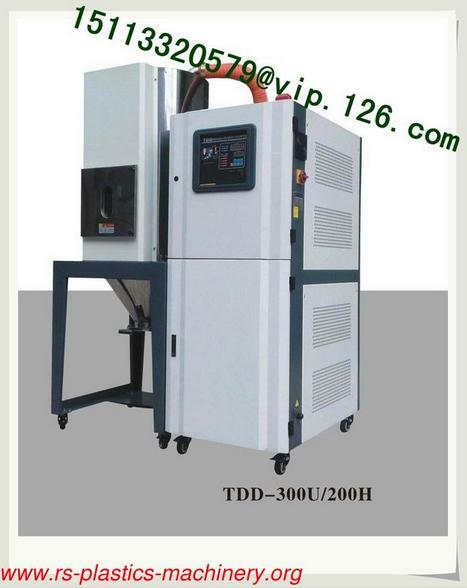 All models feature TD-H honeycomb dehumidifiers with built-in process heater, and insulated drying hopper. 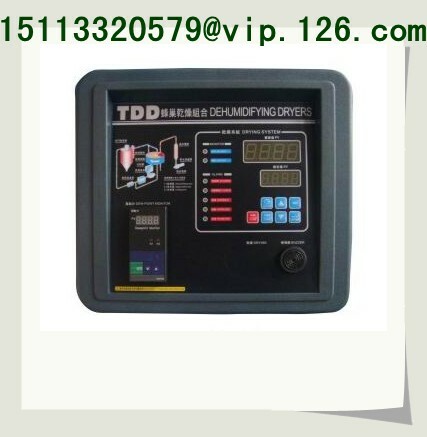 The TDD series offers accurate PID temperature control as standard, with LCD touch screen, dew-point monitor, and hopper loaders as optional feature. The RS-TDD dehumidifying drying use honeycomb dehumidifiers with an eye-catching semi-integral appearance. Each model combines dehumidifying and function into a single unit. 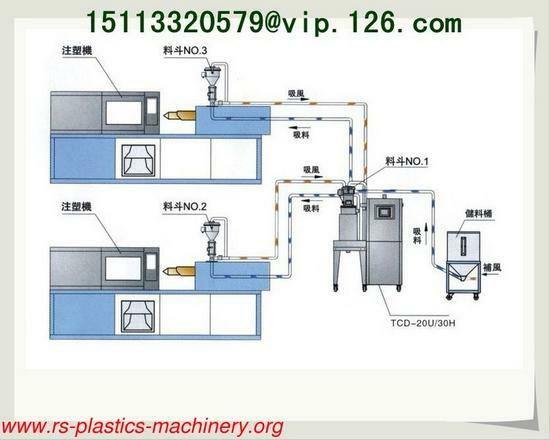 Material processing is controller via microprocessor as standard, with touch screen PLC control as an option for more convenient control. 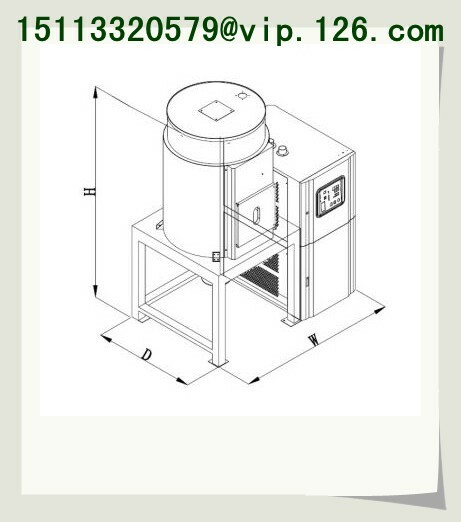 Insulated drying hopper features dry air down blowing and cyclone exhaust design. This improves drying efficiency and reduces energy consumption whist maintaining a steady drying effect. The dehumidifying section of the TDD series features two condensers to ensure a low return air temperature and low dew-point. Dew-point monitor can be fitted to check dry air dew-point. Optional suction box and hopper loader for added convenience when conveying material. Note: 1 )Mirror polished treatment on all material contact surfaces, add “P” at model behind. 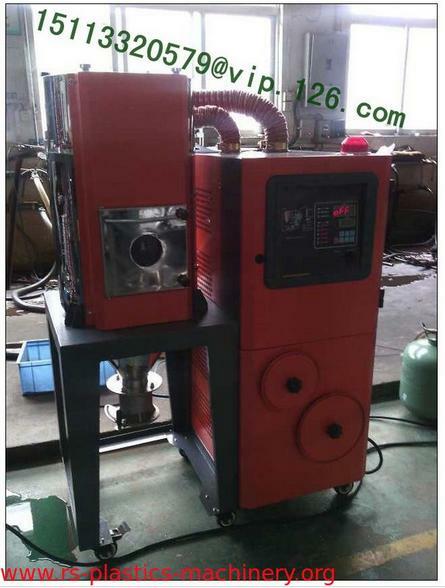 2)Modified into “180and heat-preservation” add “HT” at model behind. 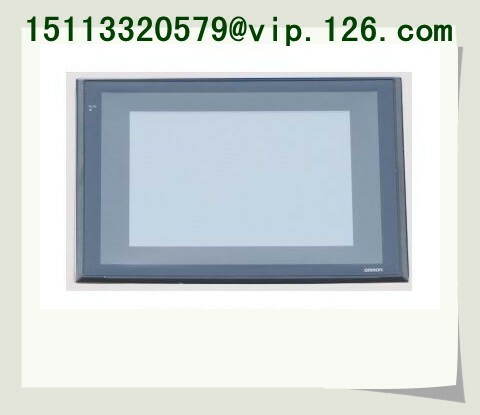 LCD touch screen, PLC controller, add “LC” at model behind.